Golic And Wingo ESPN Draft Experience Contest (With Word Of The Day): Listen to the Golic and Wingo Show on ESPN for the Draft Contest Word Of The Day today and a chance to win a trip to the 2019 NFL Draft in Nashville, TN. 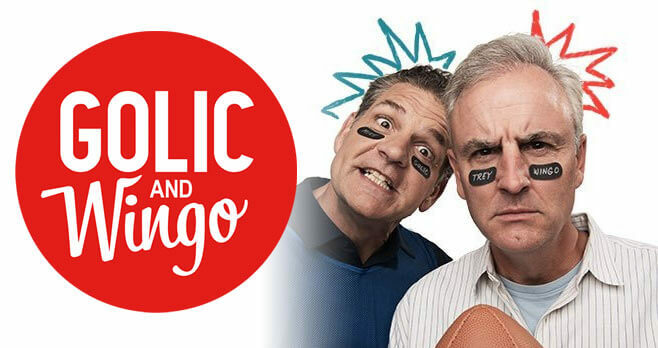 The Golic And Wingo ESPN Draft Experience Contest is open to legal residents of the 50 United States, including the District of Columbia, age 18 and older at the time of entry. The Sweepstakes begins on March 28, 2019 at 6:00:00 AM ET and April 10, 2019 at 1:00:00 PM ET. Listeners can receive a total of one (1) entry per day. The grand prize consists of a 5-day, 4-night trip for two (2) people (winner and guest) to the 2019 NFL Draft in Nashville, TN. Visit espn.com/espnradio/contest to enter and see Official Rules for details. Have been listening to G & W Live show BUT NOY heard the Word for the Day for the Draft Contest. Please help. Have the Nashville sweepstakes winners been notified ? ?